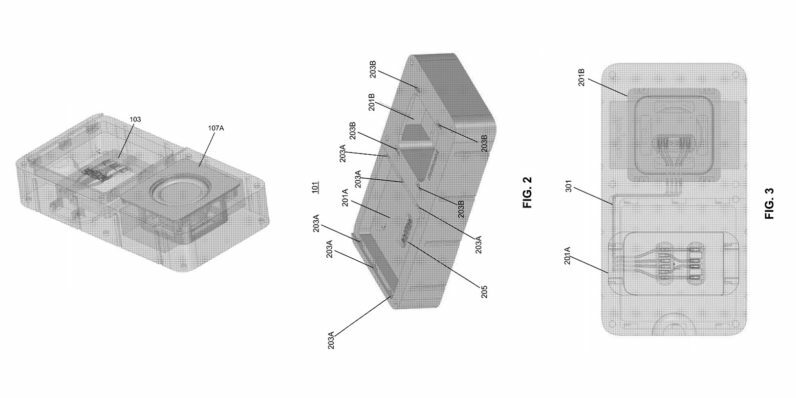 Facebook yesterday filed a patent detailing plans for a modular smart device. The patent shows off a design that would allow consumers to mix and match different hardware components compatible with a base frame. Information gleaned from the patent doesn’t make it clear whether this device is meant to be a smart phone or not. It’s possible, based on images in the document, that it could also be a smart-home speaker like Amazon’s Alexa. This isn’t the first time we’ve seen a modular device concept, and this patent certainly isn’t indicating that Facebook is going to develop and manufacture the product. Patents in the tech world don’t exactly predict the future, remember the vaporizer patent Apple filed earlier? Conventional consumer electronics have a short life cycle. Consumers purchase consumer electronics that utilize cutting edge technology only to find that their electronics are outdated in the near future… the life cycle of conventional consumer electronics is expensive and wasteful. If it turns out the device is a phone, or similar consumer-based device, this could be a game-changer. Potentially, you could just upgrade your phone when technology advances, instead of being forced to shell out for an entirely new device. We’d need a lot of optimism to believe this product will make it to market anytime soon (or at all). But the concept is exciting and, according to Business Insider, the group working on the device has prior experience – some of the developers previously worked on Google’s modular phone project. We’d give a flagship quality device that let’s us pick and choose what pieces make sense for our use the ‘heart’ reaction. The outlook hasn’t been great for modular phones in the past however, so don’t get your hopes up.